The Soviet educational system singled out 8-year-old Daud Akhriev for special arts training. He painted and drew under the best painters and instructors for the next fourteen years. This culminated in a master’s degree from the Russian Academy in Leningrad (sic), after an obligatory two years in the Russian army. 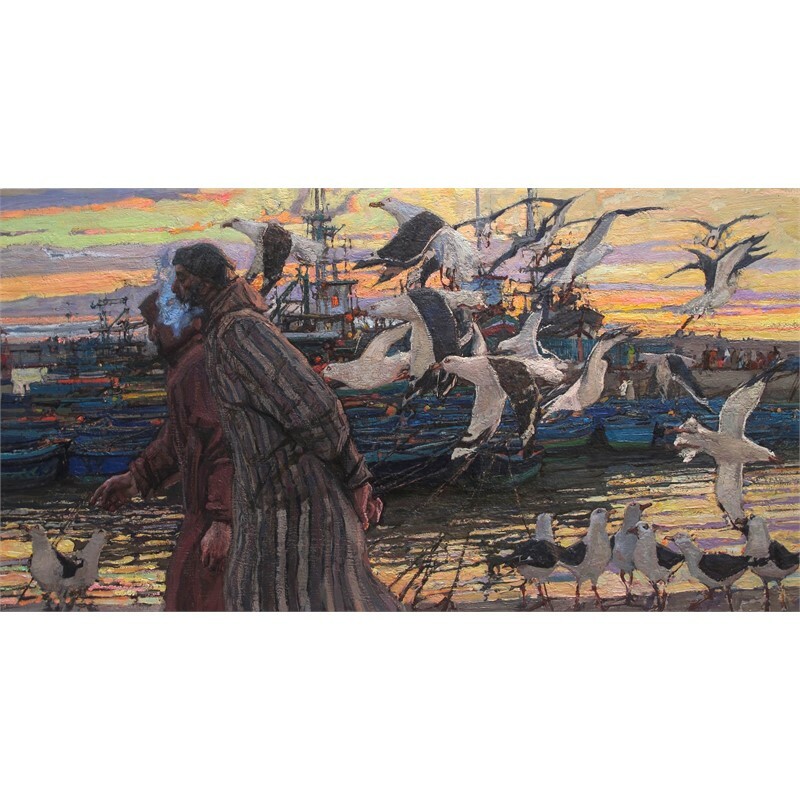 Though representational in orientation, Russian Academic philosophy encourages sampling, experimenting, and referencing styles and techniques from all of art history. The Russian academic training at its best imparts an artist a wide array of abilities honed to such that technical struggle is greatly reduced, leaving more time for experimentation and creativity. 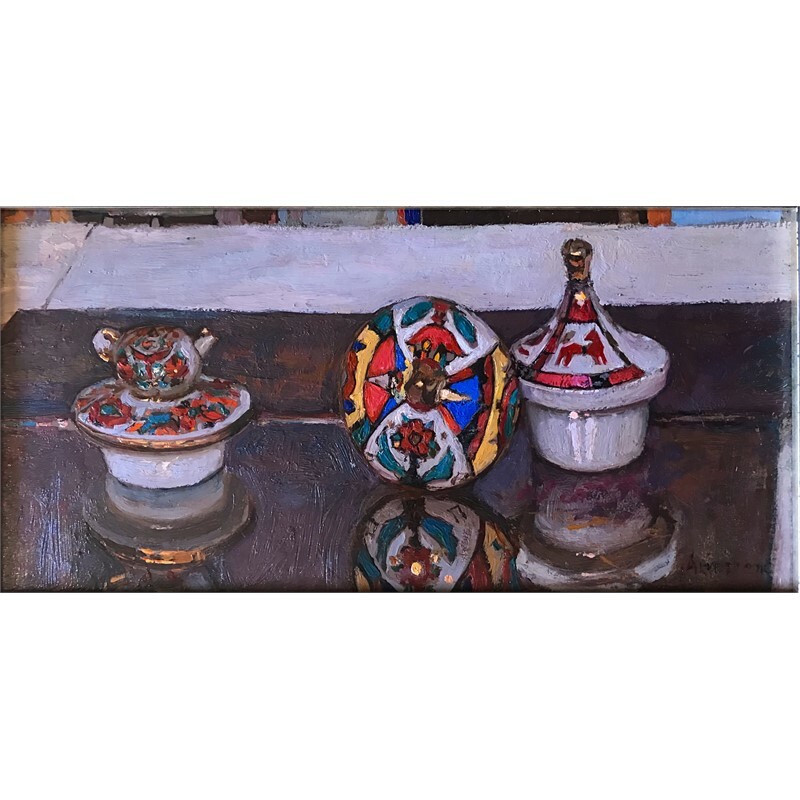 Akhriev, who enthusiastically cultivated all skills and styles while at the Academy, is an artist with public works in mosaic, oil on linen, water media, cast bronze monumental sculpture and ceramics. He is comfortable working in decorative styles, designing fabrics and patterns, and is equally at ease switching into Old Master oil painting. He admires Rembrandt and Schiele, Moser and Mailloll, Velasquez, Sargent and Sorolla. 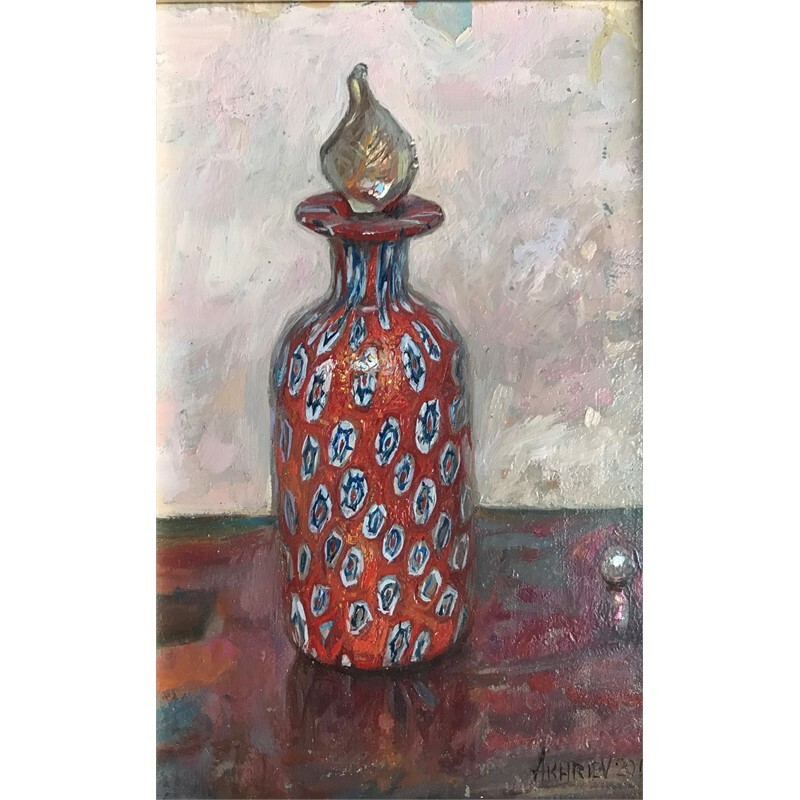 Akhriev is a Master Signature member of Oil Painters of America, the Artists Union of Russia, as well as the Association of Pastel Painters of Spain, the British Association of Modern Mosaicists, and the Society of American Mosaic Artists. 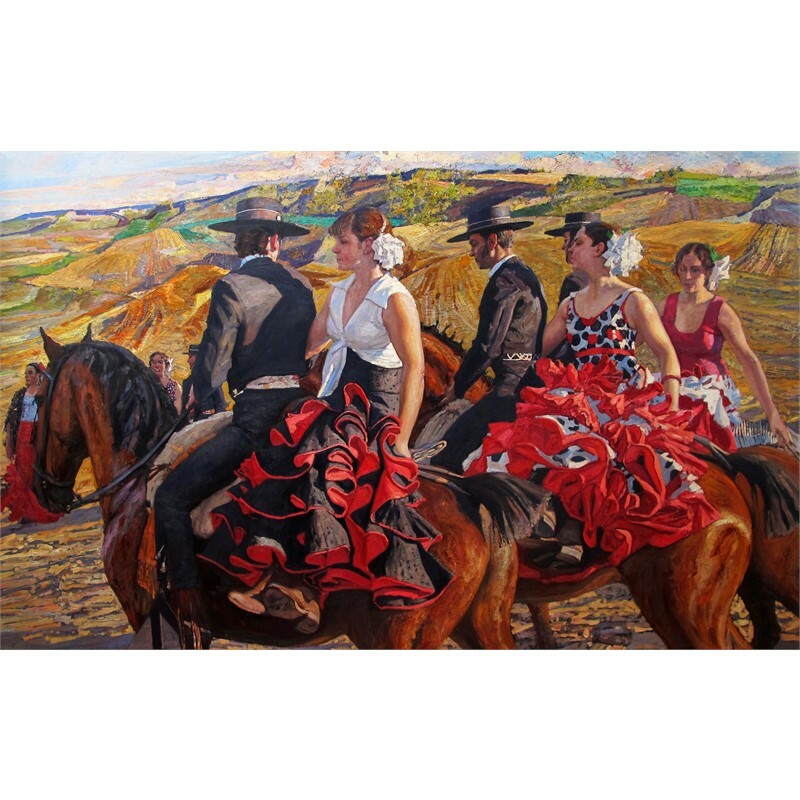 He has won numerous prizes from the Salon International and International Masters Exhibitions in Texas, and at OPA regional and national exhibitions. He won Grand Prize from Pastel Magazine’s international 100 competition in 2015 and was twice honored again in 2017. Erlanger Hospital awarded Akhriev and team the creation of their non-denominational chapel which won “Ten Best Mosaic in Situ” in 2016 from the Society of American Mosaic Artists. 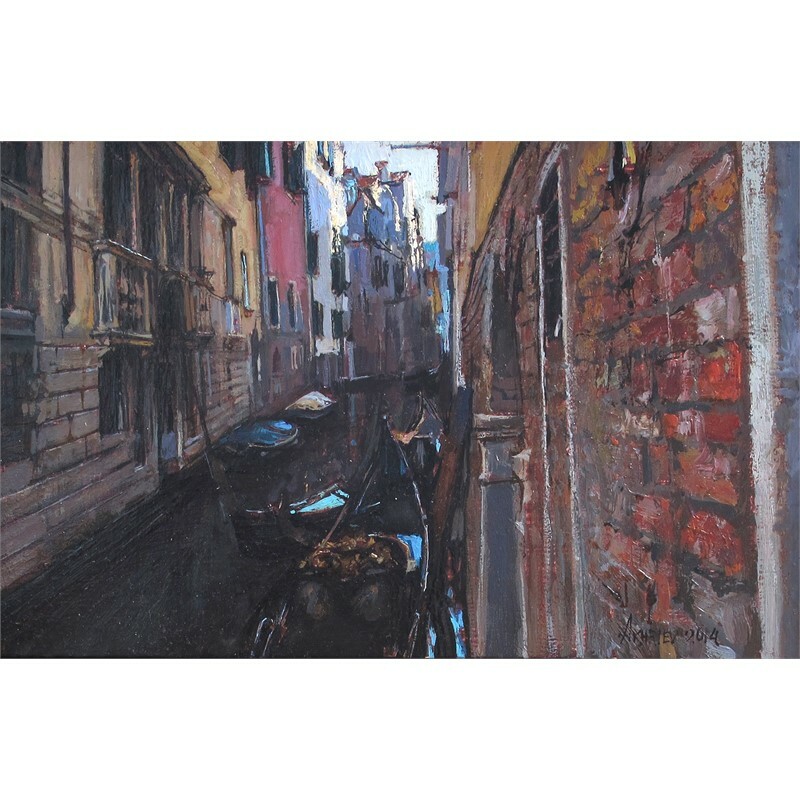 He is an internationally renowned instructor of ﬁgurative and landscape painting and drawing. His work is published in several art books in Russian, Chinese and English.  Magazines such as Fine Art Connoisseur, Pastel Journal and Artists Magazine have large features on his work. Currently his pastel paintings are at the Ming Gallery of Pastel Painting in Suzhou, China, by invitation, and are going to be in the inaugural exhibition of the new Chinese museum pastel painting throughout history through the present day. 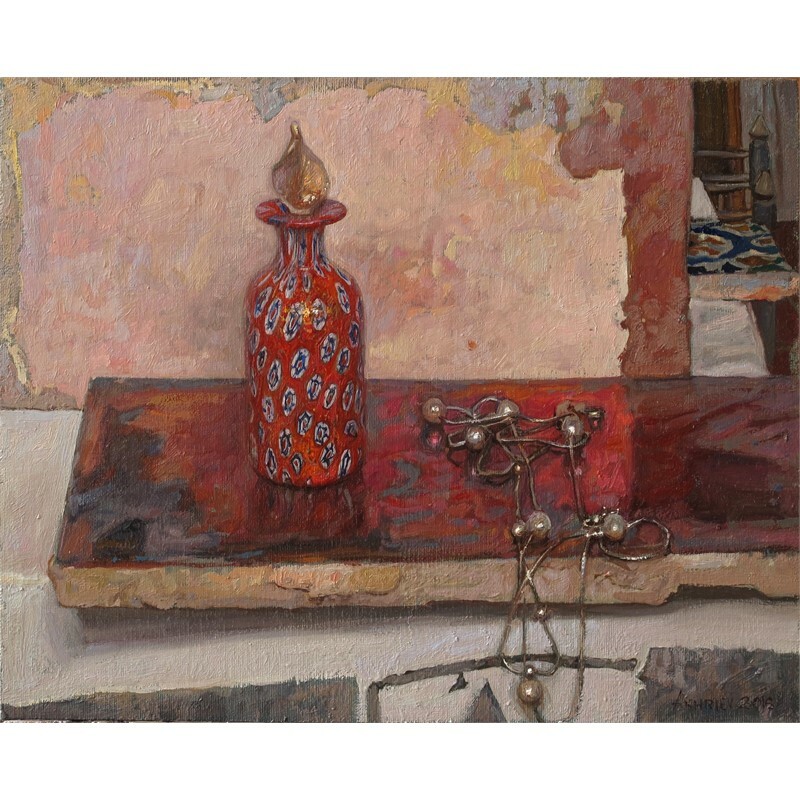 He has served as a juror for Oil Painters of America, and he frequently teaches masterclasses in Italy. The artist is a huge sports fan and loves ﬁlm and travel. He speaks Russian, Ingush, English, basic Spanish, and can communicate using hand gestures in any other language. His extracurricular passion is teaching young artists. 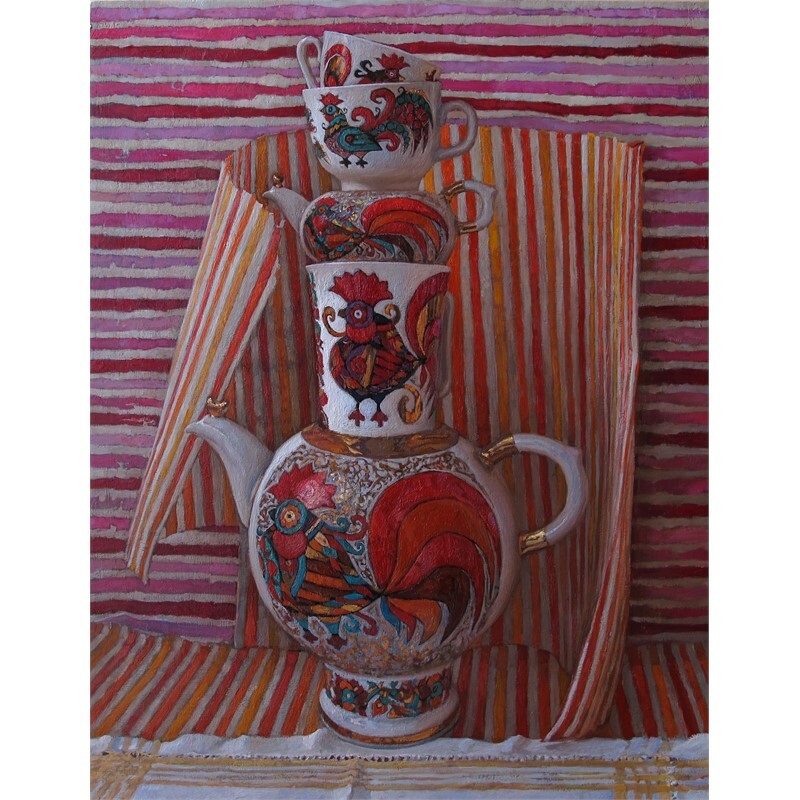 He resides in Tennessee and Andalusia, Spain with his artist wife, Melissa Hefferlin. The Soviet educational system singled out 8-year-old Daud Akhriev for special arts training. He painted and drew under the best painters and instructors for the next fourteen years. This culminated in a master’s degree from the Russian Academy in Leningrad (sic), after an obligatory two years in the Russian army. 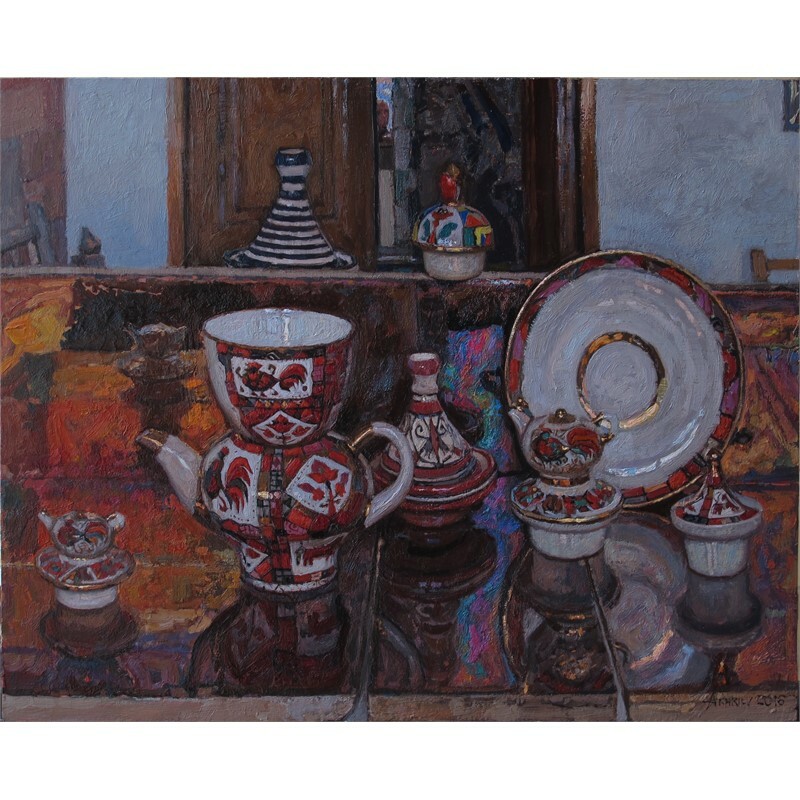 Though representational in orientation, Russian Academic philosophy encourages sampling, experimenting, and referencing styles and techniques from all of art history. The Russian academic training at its best imparts an artist a wide array of abilities honed to such that technical struggle is greatly reduced, leaving more time for experimentation and creativity. 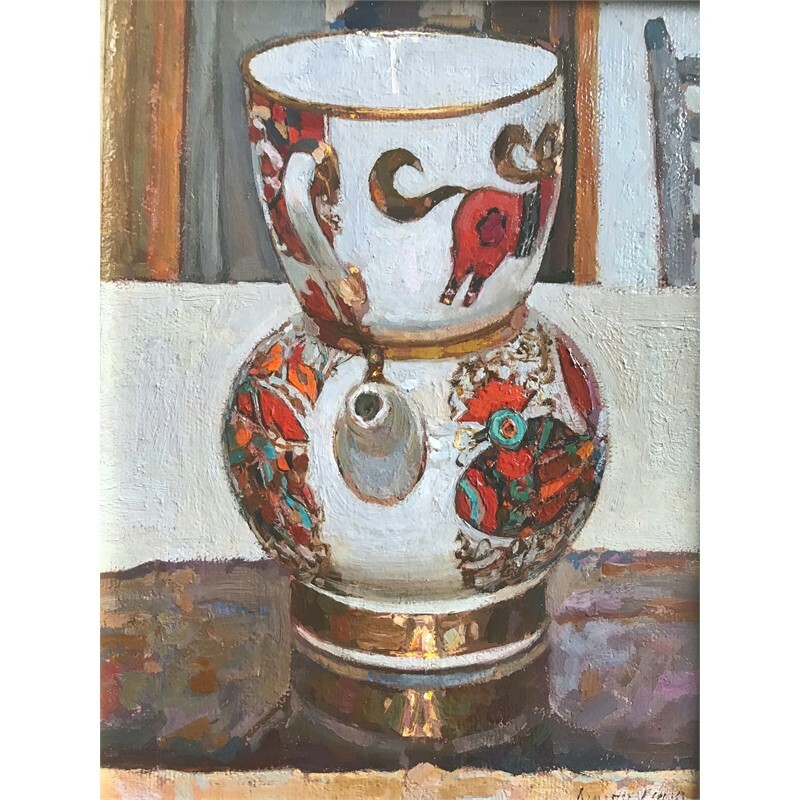 Akhriev, who enthusiastically cultivated all skills and styles while at the Academy, is an artist with public works in mosaic, oil on linen, water media, cast bronze monumental sculpture and ceramics. 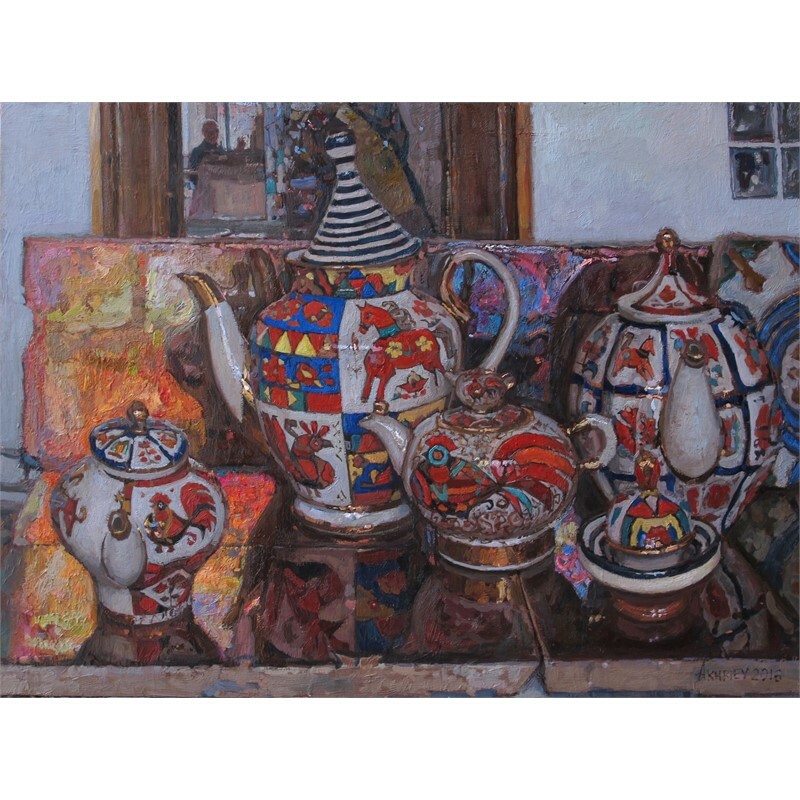 He is comfortable working in decorative styles, designing fabrics and patterns, and is equally at ease switching into Old Master oil painting. He admires Rembrandt and Schiele, Moser and Mailloll, Velasquez, Sargent and Sorolla. 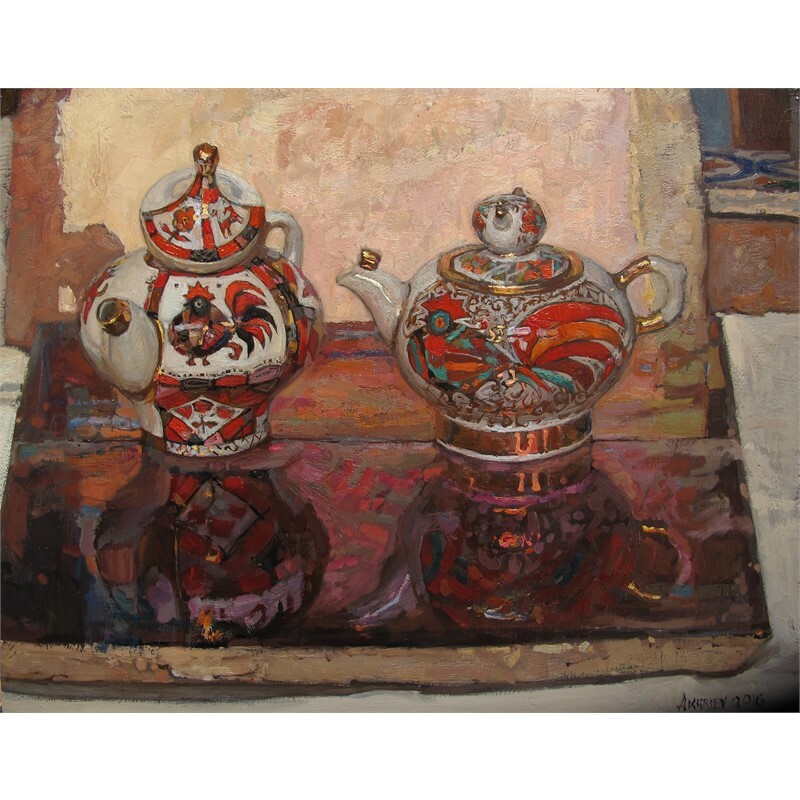 Akhriev is a Master Signature member of Oil Painters of America, the Artists Union of Russia, as well as the Association of Pastel Painters of Spain, the British Association of Modern Mosaicists, and the Society of American Mosaic Artists. 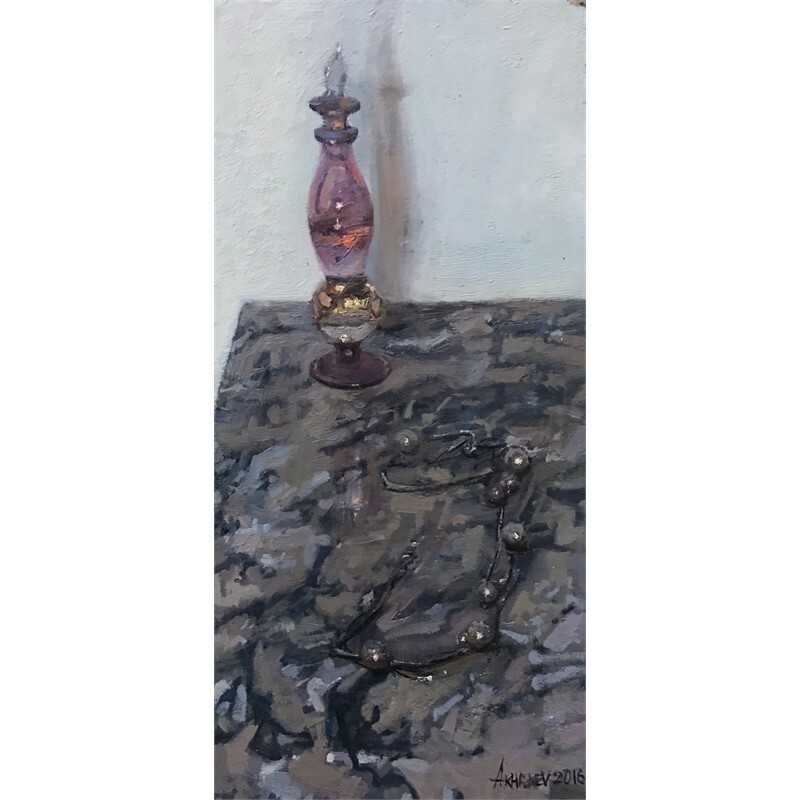 He has won numerous prizes from the Salon International and International Masters Exhibitions in Texas, and at OPA regional and national exhibitions. He won Grand Prize from Pastel Magazine’s international 100 competition in 2015 and was twice honored again in 2017. Erlanger Hospital awarded Akhriev and team the creation of their non-denominational chapel which won “Ten Best Mosaic in Situ” in 2016 from the Society of American Mosaic Artists. He is an internationally renowned instructor of ﬁgurative and landscape painting and drawing. His work is published in several art books in Russian, Chinese and English. Magazines such as Fine Art Connoisseur, Pastel Journal and Artists Magazine have large features on his work. 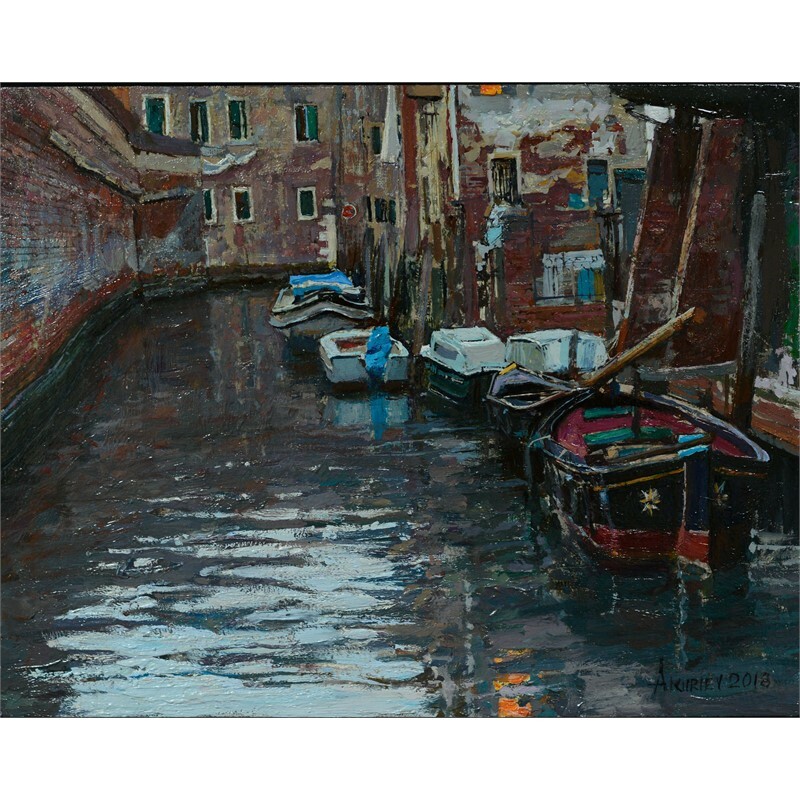 Currently his pastel paintings are at the Ming Gallery of Pastel Painting in Suzhou, China, by invitation, and are going to be in the inaugural exhibition of the new Chinese museum pastel painting throughout history through the present day. 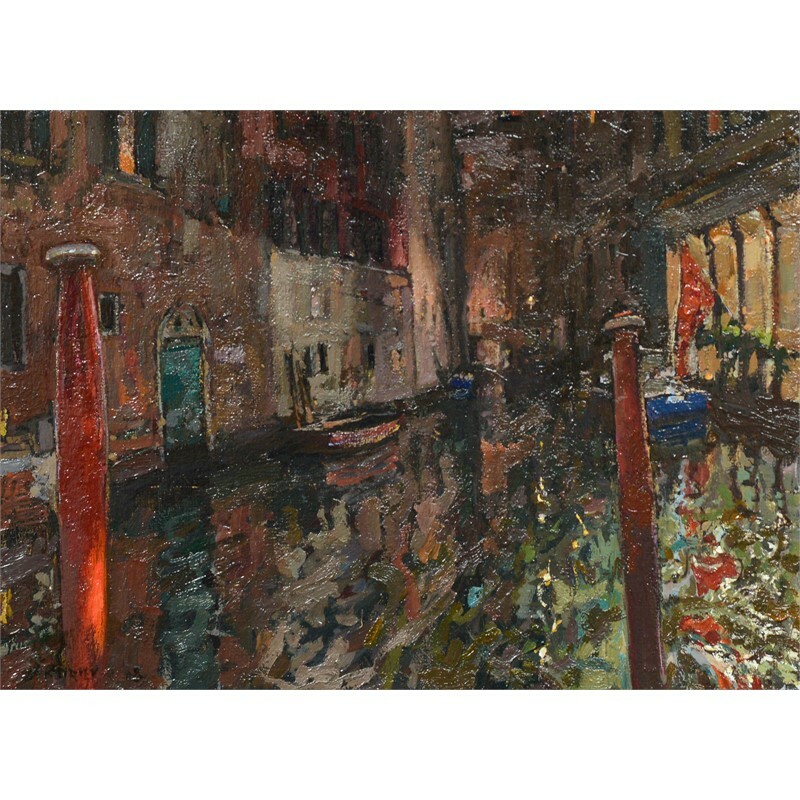 He has served as a juror for Oil Painters of America, and he frequently teaches masterclasses in Italy. The artist is a huge sports fan and loves ﬁlm and travel. He speaks Russian, Ingush, English, basic Spanish, and can communicate using hand gestures in any other language. His extracurricular passion is teaching young artists. He resides in Tennessee and Andalusia, Spain with his artist wife, Melissa Hefferlin.